Annotation: In Homer s account in The Odyssey, Penelope wife of Odysseus and cousin of the beautiful Helen of Troy is portrayed as the quintessential faithful wife, her story a salutary lesson through the ages. Left alone for twenty years when Odysseus goes off to fight in the Trojan war after the abduction of Helen, Penelope manages, in the face of scandalous rumours, to maintain the kingdom of Ithaca, bring up her wayward son, and keep over a hundred suitors at bay, simultaneously. When Odysseus finally comes home after enduring hardships, overcoming monsters and sleeping with goddesses, he kills her suitors and curiously twelve of her maids. 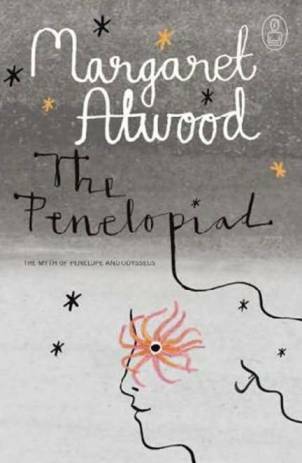 In a splendid contemporary twist to the ancient story, Margaret Atwood has chosen to give the telling of it to Penelope and to her twelve hanged Maids, asking: What led to the hanging of the maids, and what was Penelope really up to? In Atwood s dazzling, playful retelling, the story becomes as wise and compassionate as it is haunting, and as wildly entertaining as it is disturbing With wit and verve, drawing on the storytelling and poetic talent for which she herself is renowned, she gives Penelope new life and reality and sets out to provide an answer to an ancient mystery.